Just Add Ink have a fun challenge this week for you! How many layers can you add to your card? I've got a few on mine - can you spot them? 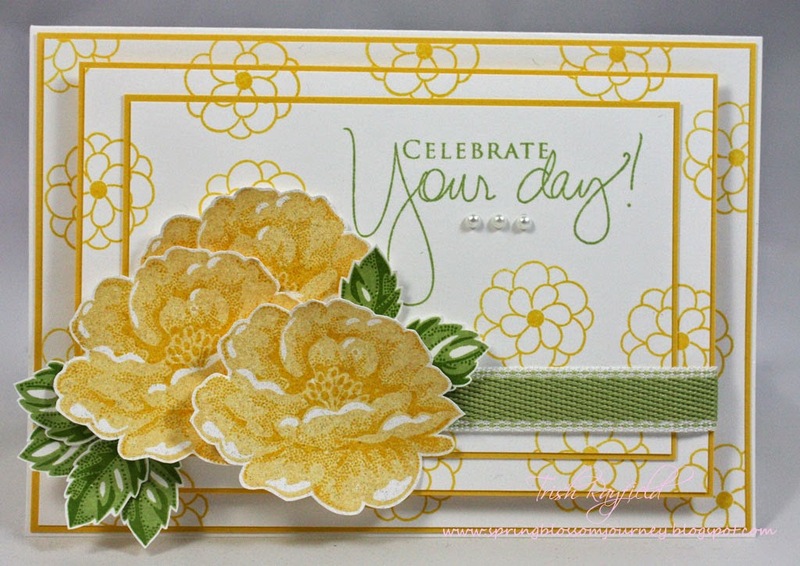 Obviously there are the layers of card stock BUT there are also layers of ink on my stamped flowers and leaves! There are so many fun ways to incorporated this challenge into your card and the design team have created some amazing items to show you what's possible! So pop over to Just Add Ink, check out the design team's ideas then link up your project! Have a happy crafting weekend. 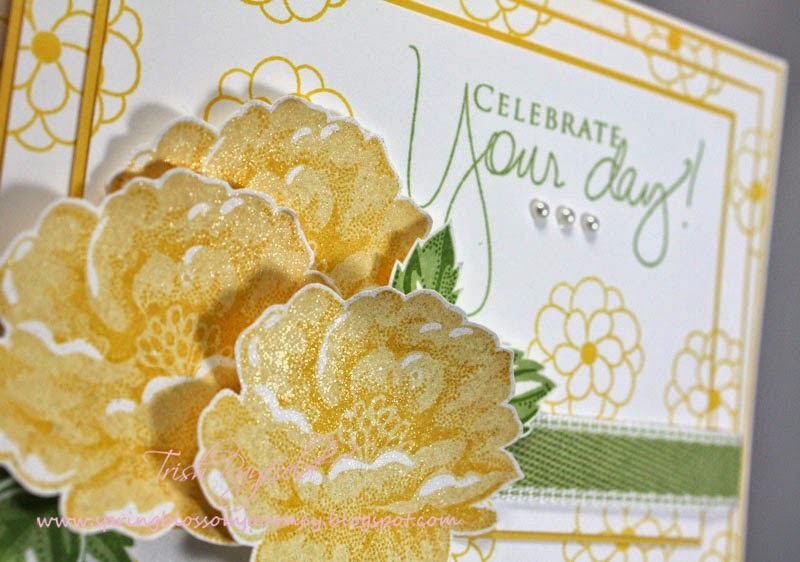 Trish the bright yellow colour you have chosen really add to the theme of your greeting and makes you feel like celebrating, so cheerful and exciting colour choice. I like your layered flowers too. Beautiful layers and design Trish. Love, love, love, love, love Trish! gorgeous amount of layers and gorgeous flowers!